Here are links to other projects involving Simon and Hilary. Hilary’s music and art website – including the lyrics to many of the songs featured on her solo albums. Britain’s first modern mandolin quartet with mandolins of all shapes and sizes, featuring the voice and mandobass(!) 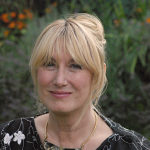 of Hilary James. Their infectious fun and off-beat humour influence everything they play, from lively reels to traditional airs, hot swing and ragtime, plus the occasional Chinese or Brazilian tune. The online shop, home of all Simon & Hilary’s recordings and books. 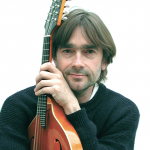 A pot-pourri of Parisian tangos, English folksong, baroque and popular song down the centuries. After spending 30 years and almost 1000 miles apart in England and the south of France, The Two Sisters Hilary James and Janet Giraudo have recorded their debut album Songs & Chansons with multi-instrumentalist and producer Simon Mayor. 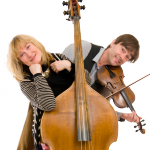 Simon Mayor and Hilary James have written and performed extensively for BBC children’s TV and radio. Find out here about the Musical Mystery Tour series of children’s albums.